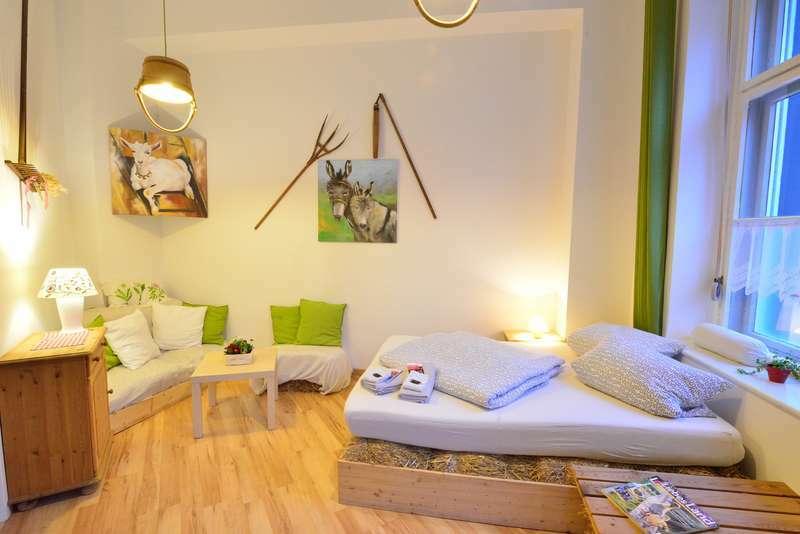 The neighborhood Hostel is located near the Warschauer Straße Underground and train station - right in the lively and popular district of Friedrichshain. 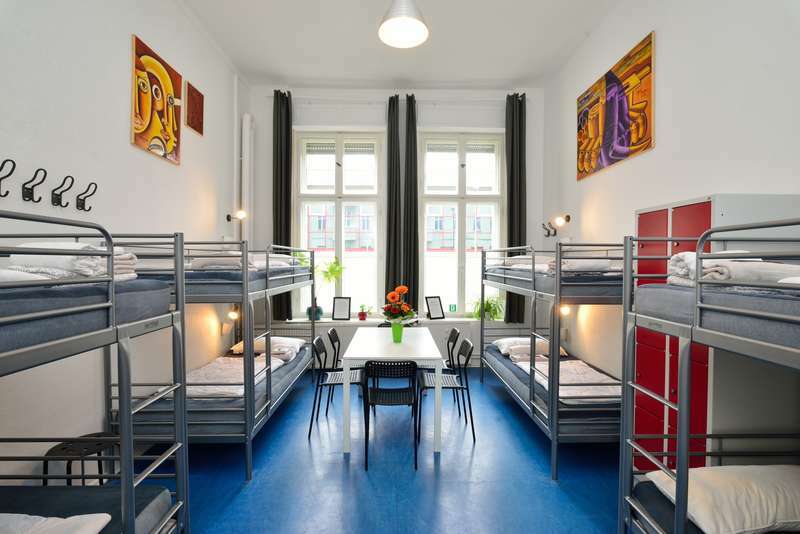 Our hostel is a small oasis of peace in a turbulent neighborhood life. We are small, we are different, we are us! Family, communicative, otherness and unique! 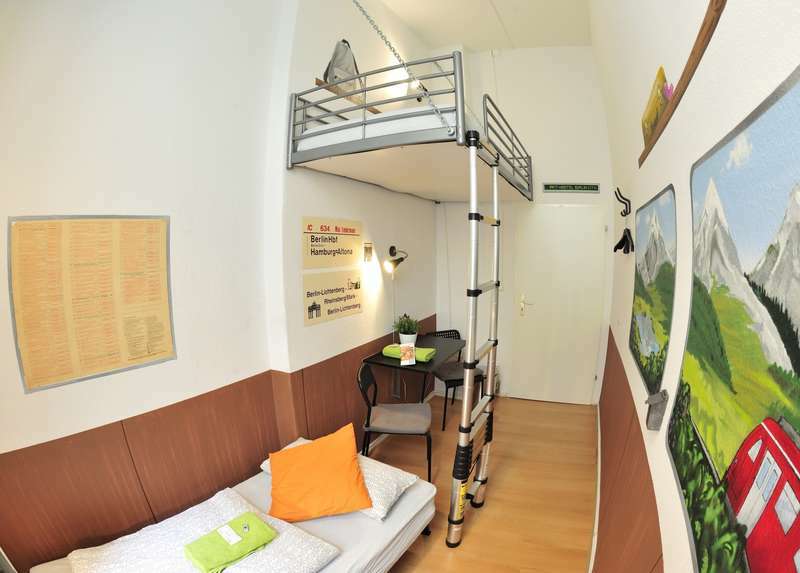 About one floor spacious dormitory rooms are available, which are equipped with shower / WC. Guests of the hostel can surf the Internet free and unlimited. Whether comfortably on the hotel room or in the lobby if with laptop or smartphone - our WLAN is free of charge ! In the area around the hostel there are many restaurants, bars, clubs and cafes, as well as supermarkets, banks and a variety of small shops and stores. after leaving the station turn right and cross the street at the first traffic light (you will see 'Veganz' on the right side), now you are on the 'Marchlewskistraße'. You´ll find us in No. 88 at the end of the row of houses. Take bus X9 to Zoologischer Garten and change to the S5, S7 or S75 on platform .. to Warschauer Straße. Take the S5, S7 or S75 on platform .. to Warschauer Straße. You can cancel your booking free of charge until 2 days before arrival. If you cancel your booking later the proberty will charge 50% of the entire amount. For cancellations same day on arrival and in the event of a no show the proberty will charge 100% of the amount.\\r\\n\\r\\nNew Years 2017/2018\\r\\nYou can cancel your booking free of charge until 14 days before arrival (26.12.2017-01.01.2018). If you cancel your booking later the property will charge 70% of the entire amount. For cancellations 2 days before arrival date or less and in the event of a no show the property will charge 100% of the amount.